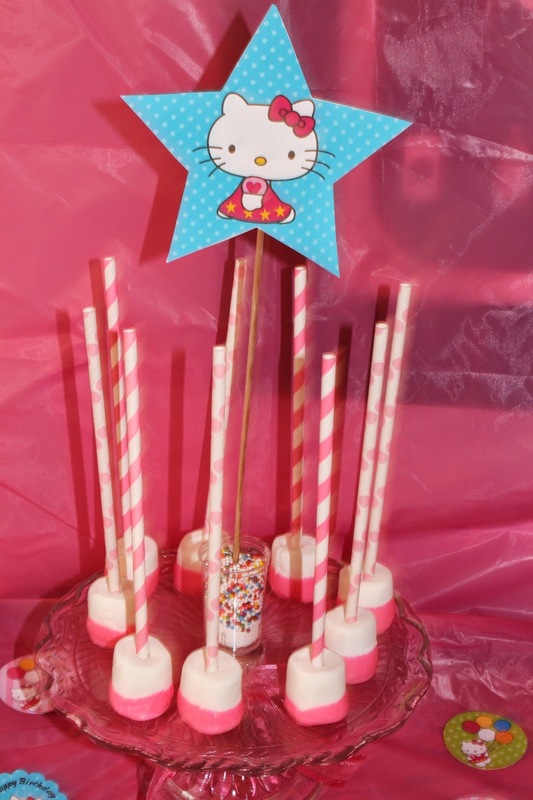 My daughter Addie is obsessed with all things Hello Kitty. 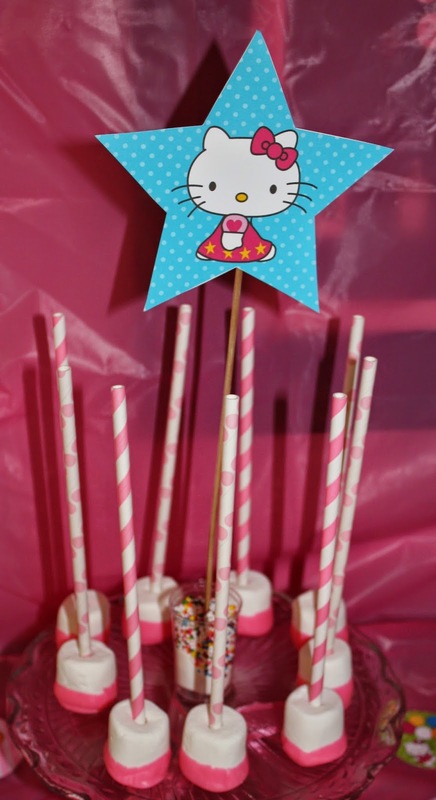 So, when it came time to choose the theme for her 6th birthday party, Hello Kitty it was! 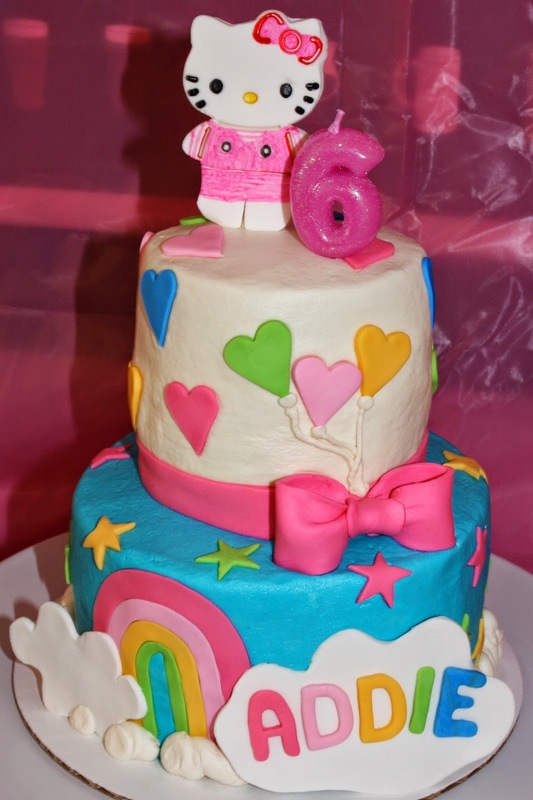 She helped design her cake to coordinate with the paper goods she chose. 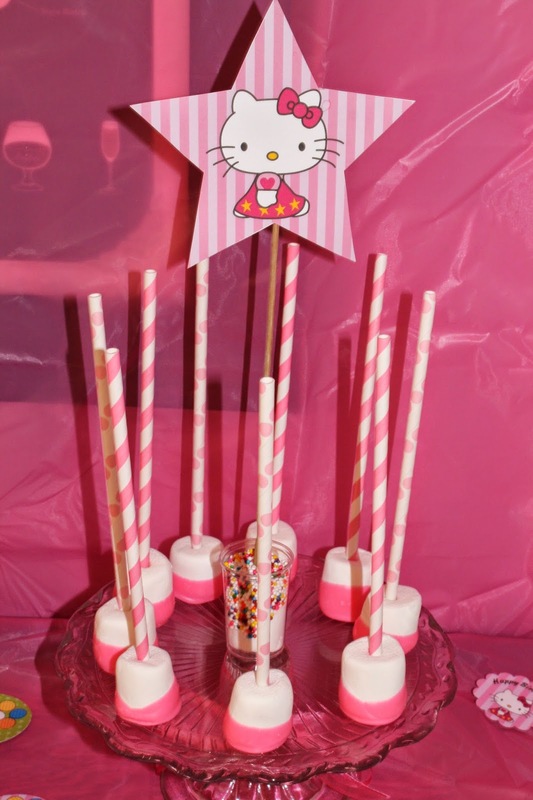 She also requested chocolate covered marshmallows and chocolate covered Oreos. The girls all became little Hello Kitties with the headbands that Addie and I made together. Overall, it was a purrfect time! 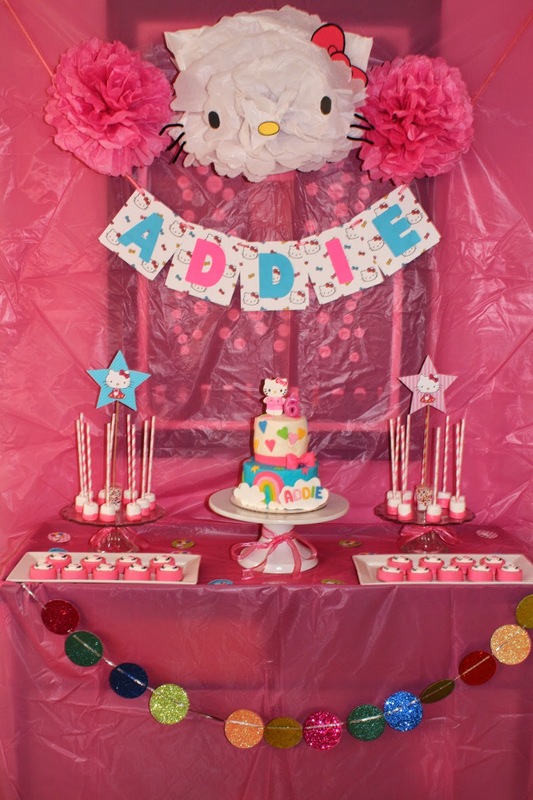 Happy Birthday Addie, can't believe you're six! We love you as much as the whole wide world!